Born in the sweltering Sydney suburb of Manly, Sundae Suits are 100% Australian-designed premium linen short sleeve and pants suits. 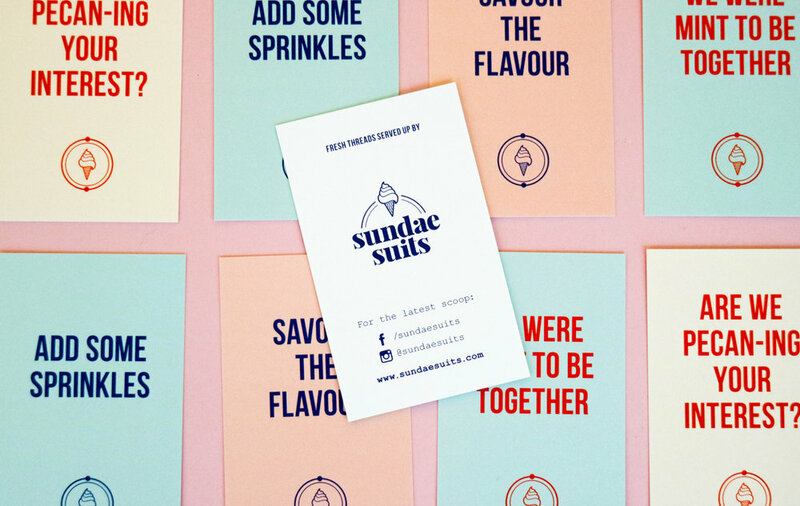 With such a strong personality, Sundae Suits needed cheeky branding to match. 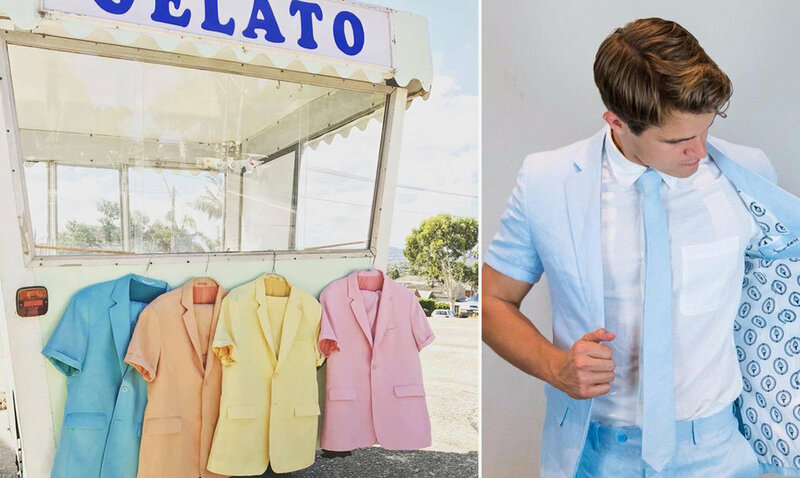 Ice cream was eaten (as inspiration, obviously) and vintage gelato was researched to draw a pastel colour palette that would do the suits justice. The logo type was customised to give the serifs a stronger, masculine feel and a playful edge. The ice cream swirls are taken from the 'S' in the logo. Besides stationery, the branding has been rolled out across the lining in the suits and ties.